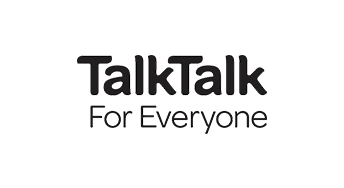 Broadband Genie is offering an exclusive deal on TalkTalk broadband. Sign up for the TalkTalk Fast Broadband package by 17th April and you can claim a £50 Amazon voucher. This deal is only available when you buy through Broadband Genie! At just £17 per month for ADSL (11Mb) broadband, TalkTalk Fast Broadband is already fantastic value for money. Setup is free too, though if you require a new phone line there will be additional charges. The package includes line rental but no inclusive calls, which is all you need if you’re not planning on using the phone (calls can be added if required). The price is fixed for 18 months so you’re not going to be hit with any mid-contract increases. You’ll have to be a new TalkTalk customer to claim TalkTalk reward cards, vouchers and other special offers. Vouchers and other rewards issued by TalkTalk can be claimed from them after the broadband is activated - look out for instructions in an email. To claim Broadband Genie exclusive vouchers you must click our link and enter an email address when prompted (this is so we can send your reward, and get in touch if there’s a problem). In order to validate your claim we must be able to track your registration with TalkTalk, so after clicking our link you’ll need to complete the process in one session. If you have to stop and come back later you should start by clicking our link again. Lots more information about vouchers, cashback and other free gifts can be found in our guide to claiming rewards. BT Reward Cards: BT will often offer pre-paid Mastercards, along with other incentives such as Amazon Prime Membership or tech, with their broadband. Virgin Media Rewards: Virgin Media will occasionally give away rewards such as free tech or a bill credit with new broadband deals. Plusnet Cashback: Plusnet offers cashback cheques or pre-paid Mastercards with their deals on a fairly regular basis. Post Office Broadband Vouchers and Rewards: Occasionally the Post Office (who offer competitive broadband options) will also throw in a reward such as a free voucher. Talk about delivering. Vodafone Rewards: Another 'smaller' provider but Vodafone Fibre is a great, affordable option and it will occasionally come with a voucher reward for new customers too.